Haroon Moghul : Saudi Arabia's alleged murder of Jamal Khashoggi sent a clear message. Muslims must band together to fight back. Haroon Moghul Saudi Arabia's alleged murder of Jamal Khashoggi sent a clear message. Muslims must band together to fight back. 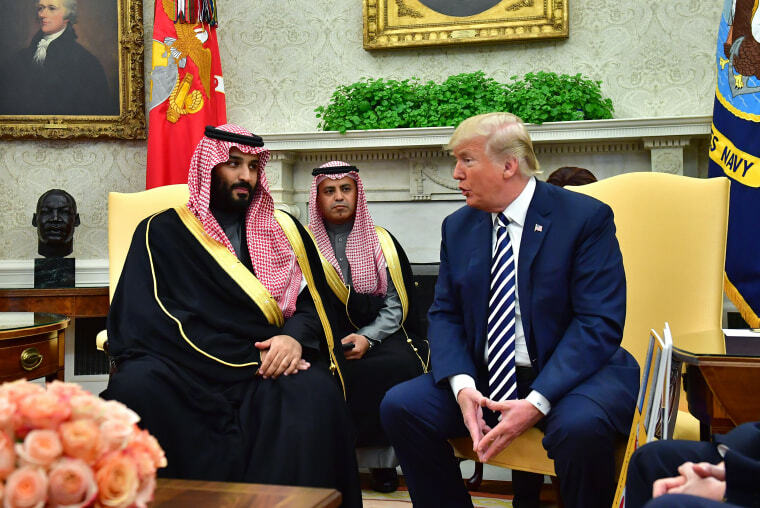 America seems incapable of standing up to Prince Mohammed bin Salman. If governments can't — or won't — protect Saudi Arabia's critics, who will? On Oct. 2, Jamal Khashoggi walked into a Saudi Arabian consulate in Istanbul. The journalist and dissident only needed a document proving he was divorced — he was planning to remarry, and his Turkish fiancée waited outside for him. But she waited in vain: Khashoggi never exited the consulate. Turkish authorities now believe that he was detained and killed, his body possibly even dismembered, and all inside the official diplomatic outpost. Saudi Arabia has long been a police state, though under its new crown prince, the powerful 33-year-old Prince Mohammed bin Salman, it has realized a degree of authoritarianism and aggression that distinguishes his regime from those of his predecessors — despite marketing himself to the West as a progressive reformer. Despite the positive headlines and handshakes, the Saudi government has, with our help, continued a brutal war in Yemen, with dire consequences for civilians. It harasses women-driving activists. It bullies Qatar. It’s detained the crown prince's own family members — at his behest. It’s punished Canada for the mildest of deeds. In all of this, America’s response, time and again, has been muted — if we haven’t gone on to aid and abet. Now Saudi Arabia might be assassinating dissidents in its consulates, and again, President Donald Trump’s response has been pitiful. Saudi Arabia has long mixed religion and politics. It has exported its interpretations of Islam to often dubious and frequently deleterious effect. But under a new and still more aggressive regime, the danger of religion being weaponized becomes greater, as does the damage done to Muslims the world over by their association with an immoral government. One option is to distance ourselves from Saudi Arabia with more emphasis, although this can be reciprocated in painful ways. There is of course the serious threat of bodily harm to dissidents, as Khashoggi's case makes clear, but there is also the chance that one day the government could wield its interpretation of religion as a weapon, limiting access to the holy cities to Muslims the Saudi government approves of. I had to ask myself, before writing this essay, what might happen to me if I condemn actions that I believe deserve to be condemned? Would I seal myself off from Mecca, Islam’s direction of prayer? Would I find myself denied entrance to Medina, the burial place of a prophet I love, Muhammad? There is of course the serious threat of bodily harm to dissidents, but also the chance that one day the government could wield its interpretation of religion as a weapon. These concerns might appear strange to the more secular, but for a person of faith, they are real and very hurtful. Moreover, by creating distance between themselves and Saudi Arabia, Muslims create distance between themselves and their religion's most important sites. This would be an unacceptable outcome. But there may be a way to loosen the Saudi grip on Mecca. One of the great weakness of modern Islam is our inability to think big. We need to think more broadly, to imagine future Muslim communities that deny despots the right to turn religion against the religious. Quite simply: Mecca and Medina are the religious heritage and sacred sites of nearly 2 billion people. They should not belong to an unelected government. What if the sites most sacred to Islam became the concern of Muslims all over the world? What if the world Muslim community, Sunni and Shia, liberal and conservative, progressive and traditional, shared in the administration of the holy cities? What if we all had a say in who got to pray, worship and protect the historical sites that are being maniacally erased from the face of the earth? It’d be a great improvement on the present condition of the Muslim world if religion and politics were disentangled. The sad fact is that right now, there is no unifying body that could facilitate such a process. But the long-term work of building a cooperative and interlocking set of global Muslim institutions, whose concern is faith and fidelity, not power and politics, is exciting and inspiring. These institutions could help combat the misuse of Islamic fraternity and sorority by extremist movements. Some of these are radical groups. Some of these are governments. All of them are wrong. It’d be a great improvement on the present condition of the Muslim world if religion and politics were disentangled, and we found some way to translate pan-Islamic sentiment into productive reality. If consulates aren’t safe, who says mosques are, or holy cities? We can hope that in that time Saudi Arabia develops in a direction that is better for its people, better for the region and better for Islam. But should it not, the shared administration of Mecca and Medina would take away from the crown prince’s regime one more weapon it can, and very likely will, wield against the innocent. Haroon Moghul is a commentator and author of three books. His most recent is a memoir, "How to be a Muslim: An American Story."